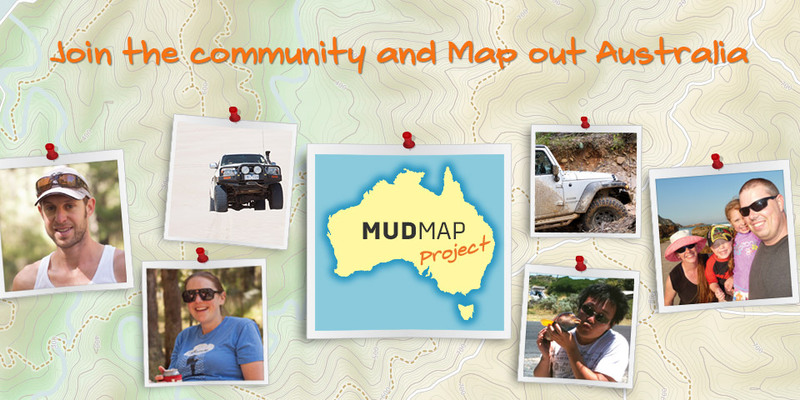 The Mud Map Project is an initiative that will enable the Australian 4WD community to create their own Off-road map. This will innovate the way Off-Road maps are made and used by 4WD enthusiasts. It will allow for highly detailed and accurate map data that is updated instantly. Maps of the future will be made by the community, for the community. The Mud Map Project uses the OpenStreetMap platform and allows anyone to contribute to and edit map data. 4WD Enthusiasts are encouraged to drive and enjoy some of the most spectacular regions of Australia and simply collect GPS data while they are doing so. With so many members of the community contributing data at the same time, map data will be more detailed and accurate than ever before. After all, "Many hands make light work". This will eliminate some of the shortcomings of small mapping teams that currently take years to update 4WD maps. Mud Map will take the data collected and create THEMAP, potentially the most accurate and up-to-date 4WD map of Australia. THEMAP will be highly optimised for 4WD recreational use. 4WD tracks and walking trails will be highly visible and excellent points of interest information will be displayed. It is also available for Offline use on iPhone and iPad via the Mud Map 2 4WD GPS navigation App.